Gamers need a decent pair of headphones for gaming especially if they play online multiplayer competitive games such as Overwatch, Fortnite, Call of Duty or PUBG. The ability to hear the enemy can be a major advantage in-game and decent audio is essential for immersion. Gaming headphones are designed for gamers and cater to their needs. You get an extra layer of immersion especially if you opt for 7.1 surround sound which will give you 360 degrees audio. This feature can give you a competitive advantage over the rest of the players. Not everyone can afford to pay a fortune or more for a pair of headphones and that is totally understandable. The challenge here is to find the perfect balance between price and feature. 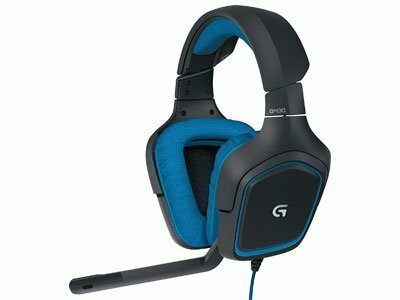 If you are looking for the best gaming headsets under $50 then you have come to the right place. Not only are we going to tell you about the headphones that we can recommend that are available on the market right now, but we are also going to look into different factors that you should consider when buying a pair of headphones and the different kinds of headphones that are available on the market. Some of the headphones that we have mentioned here are very famous on the market but there are others that are not as well-known but are still great value for money keeping in mind the features that they offer and the price. You’ll find a more in-depth review of every gaming headset further down this article. This comparison table consists of our absolute top rated picks after having a look at most budget gaming headsets available. 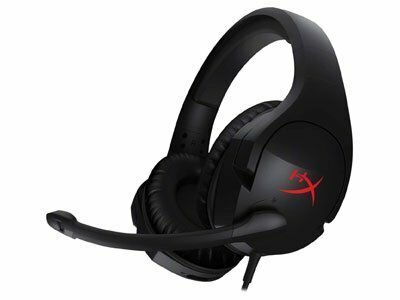 The HyperX Cloud Stinger headphones are very stylish and they are relatively inexpensive as well. That is why they are a steal and are on our list of best headphones. The headphones come with 50mm directional drivers for audio precision. They are very comfortable and the ear cups are lined with foam. HyperX Cloud Stinger headphones are very stylish and have a simple design. The audio drivers can provide decent audio and are comfortable to wear. The audio controls are easy to access and you don’t even need to leave the game in order to do so. If you are interested in getting a decent pair of headphones without breaking the bank then you can pick up a pair of these headphones. The headphones are light and come with audio controls for easy access. The mic can be folded up and in doing so will automatically be muted. This is a very interesting feature to have keeping in mind how inexpensive these headphones are. Here is what you need to know about the HyperX Cloud Stinger headphones. The BENGOO headphones are relatively inexpensive but do offer decent audio. The headphones come with a subwoofer and provide impressive sound isolation that increases the level of immersion when gaming. The integrated omni-directional noise canceling microphone is great for communicating in games and can be folded away if you already have a better external mic. The headphones also come with LED lights if you are interested in that kind of thing. The BENGOO headphones are inexpensive and if you are on a budget and need something decent then you can pick up a pair of these headphones. The LED lights need to be powered by USB but it is better than most cheap headphones that are on the market. These headphones might be inexpensive but that is not a bad thing and the headset is more than capable of getting the job done. One of the drawbacks is that you need to plug in the mic, audio and the USB cable in order to get the mic working. This is not mentioned in the marketing material and might seem misleading to some people. The BENGOO G900 headset has a lot to offer keeping in mind the price point. Not only are you getting decent audio but a subwoofer as well that will provide decent bass as well. If you are in the market for a new pair of headphones and are not interested in spending too much money on a gaming headset then you can get this headset. This headset is relatively inexpensive but it is more than capable of getting the job done. All things considered, here is what you need to know about the BENGOO headphones. Logitech is very well known when it comes to making PC peripherals and accessories. Here we have the Logitech G430 gaming headset that comes with Dolby 7. 1 surround sound. This gives you an immersive 360-degree experience which all gamers can appreciate. The headphones are light and comfortable with cloth around the ear cups and at the headband for extra cushion. The ear cups can swivel 90 degrees so you can adjust them according to your preference. The Logitech G430 comes with Dolby 7.1 surround sound and a foldable noise canceling mic which can be tucked away when not in use. If you are interested in getting a decent pair of headphones at a relatively inexpensive price then this is a pair of headphones that you should consider getting a pair. The headset comes with a noise-canceling boom mic which cannot be removed but can be folded back if you already have an external mic. The switches on the cable allow you to adjust the volume and mute audio quickly. The cord itself is very long and it comes with a Velcro strap for cable management. This is a popular company that we are talking about here, so you can rest assured that you will get your money’s worth. Getting a product from a reputable company is always safe and you should do that unless you have no other option. These are great headphones for the price and you should get these if you want to get a headset from a reputed company but are on a budget. Here is what you need to know about the Logitech G430 gaming headset. The ASTRO A10 gaming headphones are simple and elegant. The design is very clean and you can buy them in Black and Red. The ASTRO headphones are well known for great audio quality and the A10 is not an exception. The headphones are made up of anodized aluminum and damage resistant polycarbonate blend which ensures durability. While these headphones are relatively inexpensive, do not let the price fool you. Provided that you take good care of them, these headphones will last you a pretty long time. ASTRO headphones are very popular in the gaming space and the A10 is a great example. These headphones are available in Red and Black and come with RGB lighting. If you are willing to spend more for a decent pair of headphones that not only perform well but look good as well then this is a great option to consider. The memory foam makes wearing these headphones comfortable even when gaming for extended periods of time. These headphones are designed for gamers and the audio is tuned for gaming. They are compatible with all kinds of devices including Xbox One, PS4, Nintendo Switch, smartphones, Mac and PC. The ASTRO Gaming A10 headset is one of my personal favorites and if you are looking for a pair of headphones that not only look good but function well too then you should look into getting these headphones. All things considered, here is what you need to know about the ASTRO A10 gaming headphones. The NUBWO N2 headphones are compatible with a wide range of devices including Xbox, PS4, Nintendo Switch and PC. The Dual 50mm drivers provide crisp and clear audio. The mic is adjustable and is able to reduce ambient noise. It also comes with a mute button. The ear cups are lined with leather which makes them very comfortable to wear. The NUBWO N2 headphones are relatively inexpensive but the headphones do come with great audio drivers and a decent mic that can reduce ambient sound. The mute button is in a weird place but that will not be a deal breaker for most people. The headphones are available in Black and Red or Silver and Blue. Other than that value controls can be found on the side and provide easy access. The cable is braided and is 1.6 meters long, which should be enough to cable manage. You might not have heard of these headphones but they have got really impressive reviews and a lot of people are buying them for the value for money they the headset provides. If you are on a tight budget then this is an option that you can consider buying. Here is what you need to know about the NUBWO N2 headphones. The ONIKUMA stereo gaming headset is another great budget option to consider if you are looking to get plenty of features but are not interested in spending too much on a pair of headphones. While you might have not heard about the company, let me tell you that it has sold more than 2,000,000 gaming headsets. Those are very impressive numbers. The headphones support 7.1 Surround technology, which is a feature that we do not usually see in such inexpensive headphones. The surround sound will give you 360 degrees audio and will increase immersion when in-game. Some gamers actually prefer having this feature in a pair of headphones as it allows them to pinpoint where the enemy is. If you play online shooter games like PUBG or Call of Duty then this feature can give you an edge over other players. The ONIKUMA stereo gaming headset is a great product for casual gamers that want to experience 7.1 surround sound but do not want to spend too much money on a pair of gaming headphones. The headset is great value for money but one of the downsides is that you need to plug in USB, mic and audio jack in order to get the headset to work. If that is not a deal breaker then you should consider getting these headphones. The 50mm driver with neodymium magnets is responsible for the quality of sound. While the audio is not the best in the world, keeping in mind the price point it is fairly decent and will get the job done. The materials that are used are breathable and comfortable so that you can play for longer periods of time. The ear cups are padded to provide an extra layer of cushion. These also help to reduce ambient noise and allow you to concentrate on what is going on in-game. The headset is compatible with a variety of devices. Not only can you use it with a PC, Mac, Xbox or PS4, you can also use it with smartphones and handheld gaming machines like the 3DS or Nintendo Switch. The manufacturer has a free replacement policy and a 24-month money back guarantee if something goes wrong. All things considered, the following is what you need to know about the ONIKUMA stereo gaming headset. The premium HS60 comes with plenty of options. You can get the standard version that has a 3.5mm interface or the USB interface version that features 7.1 surround sound. The design is simple and clear but you can choose to get Blue or Green accents if an all-Black look is not what you want. There are a couple of options that you can look into when buying these headphones. You can buy them with the Corsair RGB stand, which can be used to hold the headphones when they are not in use. The Corsair HS50 gaming headphones have a simple and clean design but they come with a great microphone that is adjustable. The headphones are comfortable to wear even with glasses on. If you are in the market for a new pair of headphones on a budget then you should check these out. The stand is more than just something to keep your headphones on. It comes with RGB lighting, just like the headphones and can be an interesting addition to your build. The stand not only looks good but is functional as well. There are a pair of USB 3.0 ports on the stand as well as a headphone jack so you can plug in your headphones right into the stand for better cable management. You can also use the ports on the stand to plug in other devices such as a hard drive. The USB 3.0 port will allow faster data transfer speeds. In theory, you could also plug in devices like a keyboard or a mouse in order to keep the cables as tidy as possible. If you like to have a certain theme for your battlestation then this headphone stand could be a great addition to your build that will surely add character and make you build even more aesthetically pleasing. Specially tuned 50mm neodymium speaker drivers provide great audio and if you go for the surround sound version then you will be able to enjoy 360-degree sound. The Optimized unidirectional microphone reduced ambient noise and is great for communicating when in-game. The mic is discord certified so you should not have any trouble when chatting. Volume controls and a mute button is present on the ear cup which allows you to control audio settings easily without leaving the game. Here is what you need to know about the Corsair HS60 gaming headphones. While these are not the most popular pair of headphones on the market, they are inexpensive and offer decent audio. The VersionTech G2000 headphones are some of the best-reviewed headphones that you can buy right now. The VersionTech G2000 headphones are inexpensive and offer decent audio for the price. They are great value for money and offer built-in controls. The LEDs need to be powered by USB but that is a minor inconvenience. If you are on a tight budget and need decent audio for gaming then you can check out this pair of headphones. They come with an adjustable noise canceling mic which can be folded back. The ear cushions are covered with leather for added comfort when gaming for long periods of time. They are lightweight and come with LEDs if that is something that you are interested in. The 50mm driver with neodymium magnets delivers impressive sound keeping in mind the price of the headphones. This is yet another company that many people might not have heard of but yet again the product offers great value for money and if you are interested in getting a headset on a budget then this is an option that is worth looking into. Here is what you need to know about the VersionTech G2000 headphones. These headphones are pretty decent for the price and come with a couple of features that you do not normally find in this kind of price point. One of the interesting features that you get is 7.1 surround sound. If you have not experienced the feature and are looking to see what all the fuss is about then this is one way of checking it out without spending too much money. Other than that, the headphones have a very clean design and come in Silver and Black. Mpow Audio Center provides you customized experience with Virtual 7.1 channel surround sound, equalizer, 25 environmental effects, volume control. Virtual 7.1 channel surround sound provides realistic live. A big pair of headset that might not fit every type, but well worth the price. There is a volume nod on the left ear cup that will allow you to adjust the volume without leaving the game. The headphone has 50mm drivers that ensure quality sound. The metal frame is light but durable and should last you a while if you take proper care of your headset. The mic can reduce noise and is adjustable. One of the odd things is that the mute button for the mic is on the mic itself. This is yet another company that I am sure not many people know about but the headset is pretty impressive. It has some interesting features including 7.1 surround which is not common in headphones in this price range. If you need a decent pair of headphones that come with surround sound but are not willing to pay too much money then this is an option that you should consider. All things considered, here is what you need to know about the Mpow EG3 gaming headphones. BlueFire might not be a company that you have heard of but these headphones are pretty impressive and come in Red and Black. The dual tone design looks great. The headset is compatible with a wide variety of devices such as PC, Xbox and PS4. The BlueFire headphones are very cheap and if you are on a budget and need something decent then you can pick up a pair of these headphones. The LED lights need to be powered by USB and its rather bright-less. These headphones might be inexpensive but that is not a bad thing and the headset is more than capable for gaming. The headset is designed to be comfortable, there is padding on the headband and the ear cups have foam as well. This will allow users to wear these headphones without getting tired. The mic is retractable and can rotate to 120 degrees. The headset cable is braided and 7-foot-long which will make it easier for cable management and will give you some wiggle room when you need to move around. BlueFire headphones are a great budget option to consider if you are in the market for a new pair of headphones. They are budget-friendly and should get the job done. The build is robust and lightweight so these headphones should last you a while provided that you take proper care. Buying headphones can be a bit complicated because there are so many options and specifications to choose from. Here is what you need to know about the different kinds of headphones that are available on the market. There are plenty of different kinds of headphones on the market and here we are going to look into the different types that you should know about so that you know about the pros and cons of each headphone type. These are also called earbuds and are the smallest kind of headphones on the market. These usually come with your phone and are very basic. There are plenty of reasons why you should do with earbuds but the most common reason is that they are very portable and you can put them in your pocket. Earbuds also have great noise isolation which is why they are great to use when traveling. They will reduce noise and let you listen to whatever you have on your device. One of the downsides is the audio quality. Usually, these headphones do not provide the best sound, especially at the lower end. You also need to deal with wires which can be tricky. My problem with in-ear headphones is that when I am jogging, they often fall out of my ears. This might be an issue specific to me but this is something that you need to keep in mind. These headphones don’t go into your ears but sit on top. These can be portable as well but not as much as the earbuds. These are used by people that need better quality audio but still need portable headphones. Many on-ear headphones have a foldable design which makes it easier to store them and take them around. A downside here is that they are not all that great when it comes to noise isolation and you will be able to hear what is going on around you. These headphones sit on your ear and that is why your ear might fatigue after some time. This is another downside of getting these kinds of headphones. These are the largest of the three and are the most commonly used by gamers. These headphones are pretty big and they can fit bigger drivers, which is why they sound the best. The padded ear cups are very comfortable even when gaming for long durations of time. The downside is that the size does not make them easy to take with you and that these kinds of headphones are relatively expensive. You can opt to get these headphones if you want to play games for longer periods of time. This is one of the reasons why these headphones are preferred by gamers. Wired headphones come with the cord which is either 3.5mm headphone jack or the USB cable depending on the model and the features that you have opted for. The wireless versions do not have a cord but they often have some kind of base station or USB receiver that plugs into a USB port. A truly wireless headset does not need anything and connects wirelessly via Bluetooth without anything needed. Wireless headphones are great if you do not want to deal with the cable. The audio quality is not the best in the world but it is decent and getting better. It is on par with some very decent wired headphones. While having no wires is great, wireless headphones come with batteries and these need to be charged. While this might not be a deal breaker for most people, it is still another thing that you need to keep in mind and something that you will need to do when you use them. Size also plays an important role here. The general rule of thumb is that bigger headphones are able to hold bigger batteries. You need to keep in mind that wireless headphones use signals and that these signals can be interfered with. Interference is common when using wireless headphones and this is something that you need to keep in mind if you are in the market for a new pair of headphones. It is also worth noting that older devices might not work with modern headphones. New devices might not work with older headphones. This is a major issue. Again, this is something that you will need to check before you buy. Buying a decent pair of headphones might not seem like a huge deal but this is something that you only realize once you have owned and used a pair. If you have not done that then you might be tempted to get the cheapest option on the market but that is not something that we can recommend. Remember that a couple of these factors will come down to personal preference but others are true across the board. If you do choose to go with a decent pair of headphones then chances are that they are going to last you a while. If that is indeed the case then they not only need to function well but look the part too. A headset is part of your build and has to look good with the rest of the parts as well. Some headphones come with RGB lighting that can be synced with other components. If you have RGB lighting in your build then this is a feature that you should look into. You also need to see whether you want in-ear headphones, on-ear headphones or over-ear headphones. As all three come with pros and cons of their own. In-ear headphones are also called earbuds and are the smallest kind of headphones on the market. These usually come with your phone and are very basic. There are plenty of reasons why you should go with earbuds but the most common reason is that they are very portable and you can put them in your pocket. Earbuds also have great noise isolation. One of the downsides is the audio quality. Usually, these headphones do not provide the best sound, especially at the lower end. You also need to deal with wires which can be tricky. On-ear headphones don’t go into your ears but sit on top. These can be portable as well but not as much as the earbuds. These are used by people that need better quality audio but still need portable headphones. Many on-ear headphones have a foldable design which makes them easier to store them and take them around. A downside here is that they are not all that great when it comes to noise isolation and you will be able to hear what is going on around you. This is something that you need to keep in mind if you need to be isolated from the rest of the noise around you. Noise can be a bit distracting when gaming and that is not something that you want to be prone to. If this is something that you wish to avoid then you should consider getting other types of gaming headphones. Over-ear headphones are the largest of the three and are the most commonly used by gamers. These headphones are pretty big and they can fit bigger drivers, which is why they sound the best. The padded ear cups are very comfortable even when gaming for long durations of time. The downside is that the size does not make them easy to take with you and that these kinds of headphones are relatively expensive. Comfort is another thing that you need to take into consideration when you choose a pair of gaming headphones. It is likely that you will have these headphones on for at least a few hours a day so they need to be comfortable otherwise your ears will start to heart and that is something that you do not want when gaming. The design has to be durable as well. If you find foam on the earcups and the cable is braided then these are some signs of durability. It is not easy to figure out whether or not a pair of headphones are durable but you will learn through trial and error. The headphones also need to be lightweight as you will be using them for a long period of time and you do not want to put a strain on your head and neck. The sound is the main reason why you are getting headphones for gaming. It needs to be crisp and clear so that you know what is going on around you. While simple headphones do provide decent sound, you can go a step further and get the ones that come with Dolby 7.1 surround sound. This increases immersion by providing 360 degrees audio. This feature will come in handy if you play competitive FPS games. Sound isolation also plays an important role here. When you are gaming you do not want to be distracted by the noise around you. This is another factor to keep in mind when in the market for a new pair of headphones. Drivers control sound and it is wise to check which drivers a headset is using before you buy one. Bigger headphones come with bigger drivers and provide better sound that is why the over-ear headphones are the most popular amongst gamers. If you want the best sound the over-ear headphones will be the best for you but you will need to keep in mind that they are not portable. Which is something that you should consider if you use your headphones with multiple devices rather than just your PC. 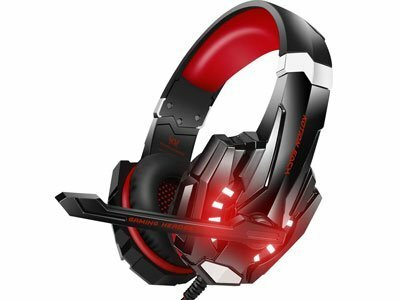 If you are looking for a headset that will be dedicated for gaming on PC or console then portability will not be an issue. As I said, some factors are true across the board but others will vary from person to person. So be sure of your requirement before making a purchase decision. Some headphones have a foldable design so even if they are a bit bulky, they can be folded into a more portable size. This makes it easier to travel with them. This is a design choice that you should consider if you use your headphones across multiple devices and take them with you when you travel. Bigger headphones also offer better base. While it is not the same experience as actual speakers and subwoofer but it is still a great option to have. Getting great base is a huge plus point and something that you should look into when buying a new pair of headphones. If you are getting a pair of headphones for gaming then chances are that you need a decent mic as well. The mics that come with headphones might not be the best in the world but they are more than capable of getting the job done. There are a couple of things that you need to keep in mind here. You should look into the sensitivity of the mic. This will tell you what the mic will pick up and what it will filter. Noise-canceling mics are great for removing background noise so that your teammates are not distracted by the noise around you and all of you can concentrate on the game. Muting feature is also great. Some mics are foldable and when you fold them back, they get muted automatically. This is a very convenient feature to have as you can easily mute your mic without leaving the game. Some headphones also come with controls on the side or on the cable that allow you to mute the mic and control volume and audio settings. This is another feature that can be very convenient when gaming. This is another factor to keep in mind when you are in the market for a new pair of headphones. Both have their pros and cons. Wired headphones come with the cord which is either 3.5mm headphone jack or the USB cable depending on the model and the features that you have opted for. The wireless versions do not have a cord but they often have some kind of base station or USB receiver that plugs into a USB port. A truly wireless headset does not need anything and connects wirelessly via Bluetooth without anything needed. Wireless headphones are great if you do not want to deal with the cable. The audio quality is not the best in the world but it is decent and getting better. It is on par with some very decent wired headphones. While having no wires is great, wireless headphones come with batteries and these need to be charged. While this might not be a deal breaker for most people, it is still another thing that you need to keep in mind and something that you will need to do when you use them. Size also plays an important role here. The general rule of thumb is that bigger headphones are able to hold bigger batteries. You need to keep in mind that wireless headphones use signals and that these signals can be interfered with. Interference is common when using wireless headphones and this is something that you need to keep in mind if you are in the market for a new pair of headphones. It is also worth noting that older devices might not work with modern headphones. New devices might not work with older headphones. This is a major issue. Again, this is something that you will need to check before you buy. Remember that when it comes to sound quality, there is no difference between the two when gaming or listening to music unless you are listing to high-quality digital audio. Also, the quality of sound is determined by the quality of the drivers. A $300 pair of wireless headphones is going to sound better when compared to a $100 pair of wired headphones. At the end of the day, you get what you paid for. If you play games only at your desk then wired gaming headsets should do the job just fine. If you are a console gamer or just like to play games on the big screen in the lounge then cables can be an issue. This is one of the cases where a wireless headset would be a better fit. Plus, wireless headsets are compatible with a wide variety of devices so you can use them on the go with your smartphone as well. In this guide, we have covered everything that you need to know about buying a new pair of headphones for gaming. We have also recommended the options that we think are the best on the market right now. There are a few factors that are true across the board but then there are things that differ from person to person so you need to know what you want. Other than that, remember that at the end of the day you are getting what you paid for. Spending a bit more for quality and additional features will take you a long way. I hope that this guide was useful and that you are able to make an informed decision using all the information that has been provided.